Hozier. Image courtesy of the artist. Five years after his acclaimed debut album, Hozier has returned. If you listen to the internet, he has spent these last five years journeying the Earth to bring us the sounds of the forest and show us the melodies of our deepest, hidden emotions. Wasteland, Baby! is the haunting result. As our contemporary bard-in-residence, Hozier faced high expectations for his sophomore album. From the moment he first spoke to NPR about it, in the summer of 2018, I was eager with anticipation. In early fall, he gave us the Nina Cried Power EP, a selection of songs from his upcoming album. This officially marked a return to public life, an emergence from the ether. As the March 1st album release date approached, he seemed to take hold of his social media presence — for the first time I could remember. As part of his anticipated return, he started posting some handwritten teaser lyrics from songs, and he even did an AMA on Reddit. Perhaps this sort of modern integration of the folksy figure could have created a rift in his image, but in reality it seems to have only strengthened it. The lyrics he posted were handwritten in a rustic, beautiful way on blank unlined notebook paper with warm hues — a stark contrast to a screenshot from the Notes app. After Wasteland, Baby! released, he even held a mini acoustic concert in the NYC subway; a king of all buskers. The five year wait was worth it. Wasteland, Baby! sonically isn’t that much of a departure from Hozier. The primary difference is the feeling of depth in each song. Choirs fill in background vocals that were left vacant on the first album, and the melodies and instrumentation are slightly more complex. The thumbnail from Hozier’s “Dinner & Diatribes” music video. Image courtesy of the artist. The main innovation that Wasteland, Baby! offers us, though, is the profound lyrical complexity and weightiness. I have been listening to this album almost every day for more than two weeks now, and each listen reveals a new dimension and emotional quality to the songs. Instead of simple hooks, Hozier offers intricate stanzas that weave through his selected themes. And the themes in Wasteland, Baby!, as perhaps indicated by the title, are much darker overall. Hozier opts for visceral imagery, supplementing somber instrumentation with this bleaker, more intricate lyrics. Thanks to Hozier, I learned that a shrike is an interesting species of bird. 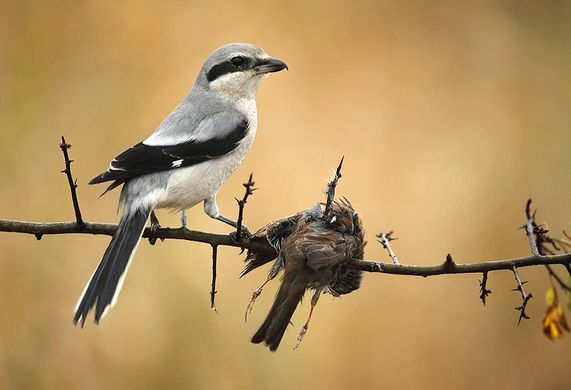 Also referred to as a “butcher bird,” shrikes impale their prey on thorns in order to kill it. While “Shrike” is also an angst-filled, painful love song, this brutal imagery is the kind of sharpness that distinguishes the songs on Wasteland, Baby! from a songs like “Cherry Wine,” or “In a Week” from the Hozier album. Although “In a Week” is no doubt dark, there is a playfulness and lightheartedness that belies the imagery. “Shrike,” however, offers us no such relief. This cute little bird savagely stabs its prey to death with thorns. Nice! Image by Glenn Vermeersch. Cute Bird Impales Its Prey! A Bird Impaling Its Victims Is So Metal I Can’t Even Stand It. Before this album, I wondered which album would be the darker one, because Hozier doesn’t exactly shy away from pain and the wretchedness of reality. On March 1st, though, it almost immediately became clear that Wasteland, Baby! clearly took the honor of being the moodiest. Wasteland, Baby! is an excellent album. Despite Hozier’s vibe as the antithesis to a pop star, the album has also achieved commercial success. 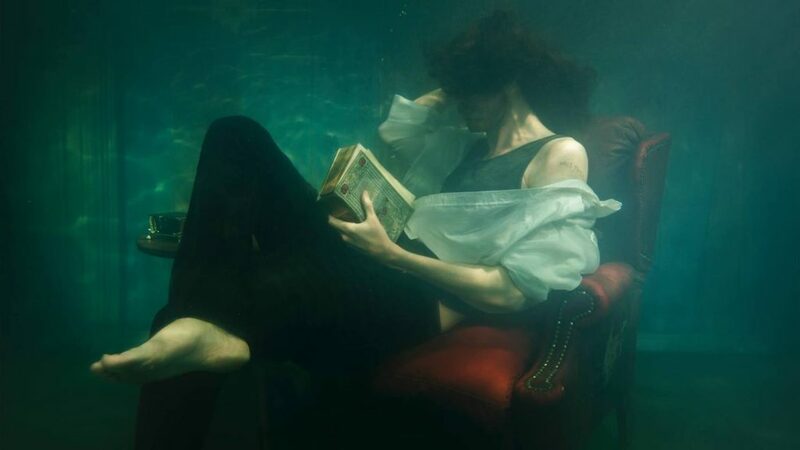 Perhaps it was the fact that listeners appreciated Hozier’s reflection on the resurgent darkness that has seemed to encase the world since Hozier came out in 2014, or maybe it’s a product of fans rejoicing over long-awaited new music from the Irish musician. Regardless, Wasteland, Baby! debuted at the top of the Billboard charts, earning Hozier his first No. 1 — an unusual accomplishment for a folksy, alternative singer whose lyrics deeply consider the dark implications of modernity. I’m glad he’s back.